I’ll start with my favorite bit first: this was a fan affair. Showrunner Jon Favreau invited the members of 501st Legion aka Vader’s Fist to join the cast as extras when he noted the production was short on Storm Trooper armor. The group has been a fantastic force for good (even though they’re on the Dark Side) for children’s charities for years – when the group got the call, they thought they were going to a public event, not a film set. It’s great to see their contributions to the community recognized like this – and now the participants can say their armor is screen-used. It was confirmed that the series takes place roughly five years after Return of the Jedi. The series includes recognizable aliens, droids, and troops. There will also be new planets, new alien races, and other creations in the series, but the production team has taken a lot of care into making sure it feels familiar, that it fits with what we know about the universe. This includes a brand new ship for the lead character. The Razorcrest – as the ship is named – you’ll see on screen is a handcrafted, kitbashed model with LED lighting effects built by ILM model maker John Goodson. They opted to go old-school with it, and instead of CG, they’ve gone with composite shots like those used in the original trilogy. ILM has opened an entirely new division to work on the new TV projects, so expect some new tech used in production as well – including cutting edge game engine software, and lifelike video walls. Lead actor, Pedro Pascal, describes his character as having a lot of Clint Eastwood style and old west gunslinger in him. At Favreau’s suggestion he watched Akira Kurosawa films and spaghetti westerns as part of his preparation. George Lucas got a lot of inspiration for the first trilogy from both of those sources – it’s good to see them worked back into this new series. 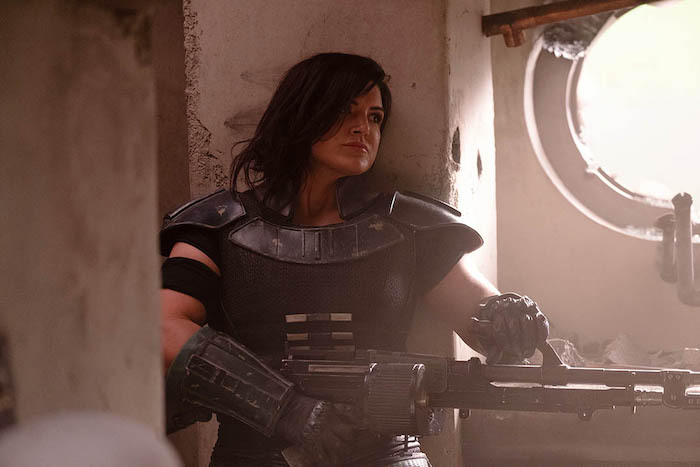 MMA fighter and actress Gina Carano is playing a former shock trooper named Cara Dune. The character a loner that struggles with fitting into society due to what she saw on the battlefield. The actress did a bunch of her own stunts – surprising the cast and crew when she carried a fellow actor off a battlefield in an action scene instead of asking for a dummy. At the show’s panel, Favreau joked that “the only person that didn’t have any fun was Gina’s stunt double” because she sat around a lot. 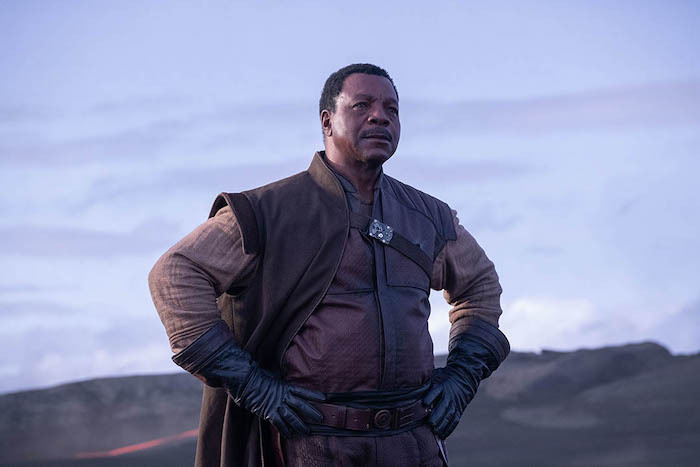 Carl Weathers – one of the several unexpected casting announcements last year – also did the bulk of his own stunts. 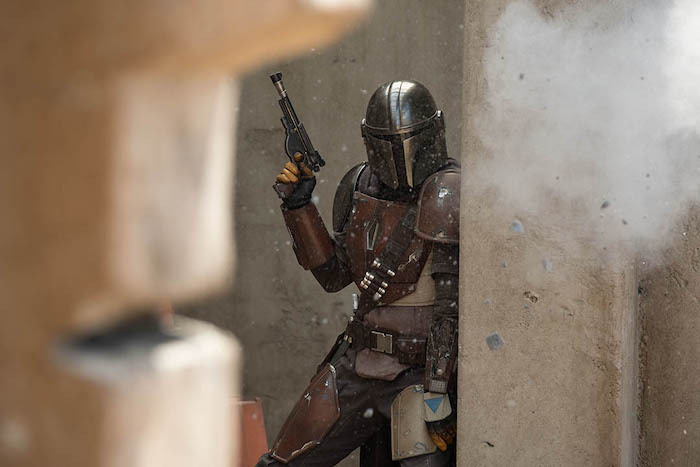 He’s playing the head of a bounty hunter guild, named Greef Carga. In the actor’s words: “He’s looking for someone to go after a product he wants to bring to a client that’s worth a lot, and that’s very valuable. And guess who he finds? 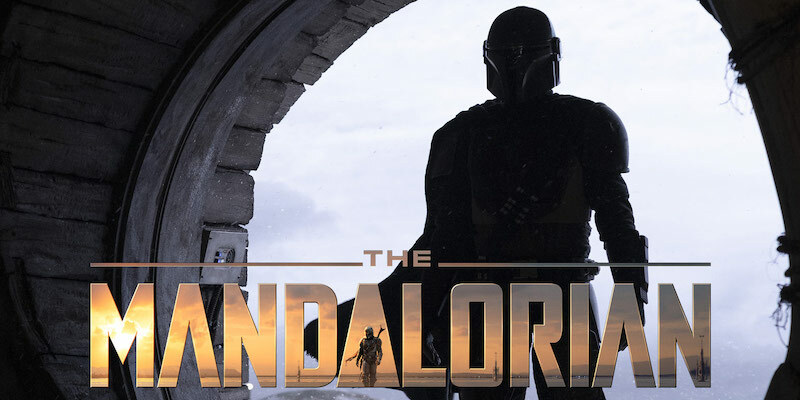 He finds a bounty hunter named Mandalorian… and the Mando does what needs to be done.” Sounds perfect for the man that brought Apollo Creed and Dillon to life. This series marks several firsts for the Star Wars universe. It’s the first live-action series, and it’s the first time Star Wars has been filmed in the United States – it was produced in Los Angeles. It’s also the first new Star Wars series to premiere on Disney+, which debuts this November and will cost you $6.99 a month. If this and any of the other shows have your interest piqued, you can sign up for updates on the service here.